If you own a business, you need to set up proper perimeter security to deter burglaries. According to the 2017 FBI crime report, there were over 1.5 million burglaries in the United States in 2016 that resulted in over $3.6 billion dollars in property losses. Security experts recommend that all business owners secure their properties with at least three levels of protection: interior, inner perimeter, and outer perimeter security devices. The inner perimeter is the exterior of your building and the outer perimeter lies along your property lines. Even if you have a security system in place that protects the interior and inner perimeter of your building, securing the outer perimeter of your business can result in greater business security. Thankfully, securing the outer perimeter of your business is as easy as installing the right security fencing. Although other types of security fencing are available, security experts often recommend chain link fencing for business security purposes. 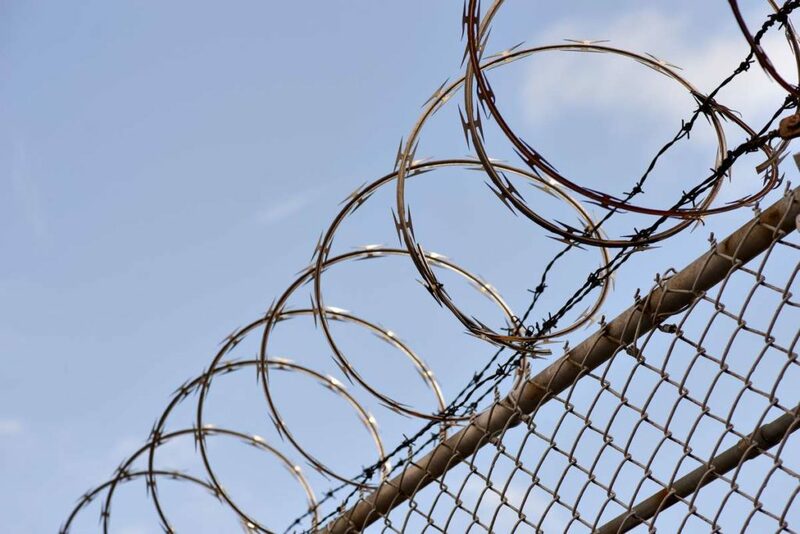 Chain link fences are so commonly used for security purposes for many reasons. When potential burglars see a highly secure chain link fence, the robbers often realize that a business owner has security in mind and will move on to the next business that appears less secure. In addition, these fences alert the public to business property lines to prevent accidental trespassing that could lead to crimes taking place on the property, such as vehicle break-ins. Most chain link fences are also made of steel, which is the strongest metal used in fencing today. That means that even if a determined criminal does attempt to cut a secure chain link fence, the burglar will have a difficult time cutting through the tough steel. This will allow more time for staff, police, or neighbors to spot a criminal attempting to intrude before they gain entry onto your property. Barbed wire arms or strands. Having barbed wire installed along the top of your fence can further deter climbing. However, look into your local laws to see if this option is legal in your area. Bottom rail. This will prevent someone from forcing the mesh up to climb underneath it. Color chain link. While not absolutely essential, this helps increase visibility of the fence at night to draw more attention to anyone attempting to break through it. Six feet tall at a minimum. The taller the fence, the more difficult it will be for a determined burglar to climb it. Small mesh size. The mesh size of a chain link fence indicates how large the spaces are inbetween wires. A small mesh size that a foot cannot fit into prevents climbing. A mesh size of 3/8″ is the most secure. Wire gauge of 9 or lower. The gauge of chain link wire designates its diameter. The lower the gauge, the thicker the wire and less easily it can be cut. There are additional ways to increase the security of your fence design, such as choosing secure bolts and screws and installing strong, well-designed framework. Your security fence expert will discuss these details with you when designing your security fence. Secure the outer perimeter of your business to keep it as safe from burglaries as possible. A properly designed chain link fence offers great business security at an affordable price. Contact Mills Fence Co. to discuss your business security fence needs.